Ringing the New Year in is always a thrilling and exciting time of year. What could possibly make it even more exciting? How about starting the new year with a beautiful, flawless diamond! The Charles Hotel has made this new years eve a night you will not soon forget, with their “Night of the Diamond” event. One lucky guest will start the new year with a brilliant new diamond. This year, The Charles Hotel in Munich, Germany will host one of the most exciting New Years Eve events. On December 31, 2014, guests who ring in the new year at the hosted event will have the chance to win a genuine, 0.5 carat diamond at the end of the night. The Charles Hotel has partnered with Jeweler Bucherer, for this event. 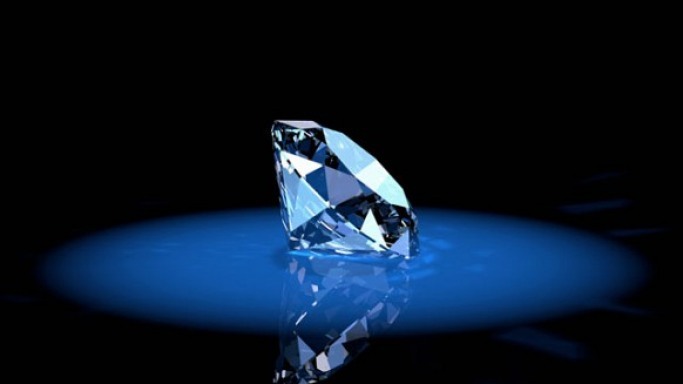 The diamond is estimated to be worth around $3,000.00, but there will be only one lucky winner that night. Tickets for the event will cost $440.00 per person. Included in the ticket price is an eight course meal, cocktail reception, a DJ, and live music by Bob Chisholm and Band. The night will begin with guests participating in the “Diamond Champagne Reception.” During this event, each guests will receive a champagne flute with a crystal in the bottom. However, only one of those flutes will hold the real diamond. Once the reception is over, guest will enjoy an eight course meal, courtesy of Restaurant Devvero. In light of the “Night of the Diamond” theme, the meal will consist of dishes named “Luxury Facets,” “Deep Sea Brilliant,”and “Diamant Brut.” Guests can enjoy lobster, shrimp dumplings, and crab canapés as well. Later, entertainment will be provided by, Bob Chisholm and Band who will perform live for the audience. Throughout the evening, a jeweler will make rounds to examine each crystal, and the winner will be announced. At midnight, the DJ music show will begin, as guests celebrate a new beginning in 2015. Guests are also invited to stay in one of the luxury hotel rooms available at The Charles Hotel. The hotel is offering a “Private Night of the Diamonds” package. The package includes one night, for two guests in the Presidential Suite and a private limousine ride from the airport to the hotel. Also included is the champagne reception where one of the guests will go home with a true diamond. The private package includes an eight course meal for up to twelve of your close friends and family. The meal will be prepared by Italian Chef Giovanni Russo, and served in the private Montforte dining room. During the night, guests will be entertained by a pianist performing live on the grand piano. At midnight, champagne will be provided for you and your guests on the rooftop terrace, where you can watch fireworks as you celebrate a new year. New Years day, you can enjoy breakfast for two in your suite, followed by a two hour guided tour around Munich. The Charles Hotel and Jeweler Bucherer have partnered to make this December 31, 2014 one of the most elegant and memorable events of the year. Guests can enjoy amazing food and entertainment, with a chance to win a flawless diamond as they ring in the new year.